Can You Sue Your Ex for Defamation during Your Divorce? During a divorce, tensions run high, and it’s not uncommon for both parties to say and do things to hurt the other. Frequently, these hurtful and hateful things are said without thought, and are brushed off after the divorce has been finalized. But what if your ex said or did something that permanently impacted your reputation? Are there consequences for such situations? In other words, can you sue your ex for defamation? Here’s what you need to know. It was expressed as a fact (rather than just expressing a negative opinion). It was made to a third party. You suffered a defamatory effect from the statement. You suffered compensable damages (e.g., loss of a job or job opportunities). While these requirements may seem extremely specific, in essence, they mean that your ex made false statements about you to other people, and you suffered measurable damage from their statements. For example, if your ex said, “I just always felt like he was angry with me over the littlest things,” he or she is expressing an opinion, and the statement is likely not actionable. However, if he or she said, “She was constantly threatening me and throwing things at me,” when those statements are untrue, the statement may be actionable. If you’re unsure whether or not your ex’s statements qualify as defamation of character, it is always best to consult with an attorney on the matter before trying to pursue a claim. Defamation cases usually fall into one of two categories—libel or slander. It is important to understand how they apply to your case. Libel is a defamatory statement in written, or other permanent form. This could be an email, social media post, or any other recorded statement. These statements usually provide their own proof in such a case. Slander, on the other hand, is spoken defamation. Generally, slander is seen as a less permanent form of defamation, and therefore, you will usually have to prove special damages in order to sue for defamation via slanderous statements. Injury to your reputation is not assumed, as it is in cases of libel. Note that, if a slanderous statement is later written down, it is now considered libel. But if a written statement against you is repeated orally, each repetition is still considered libel. 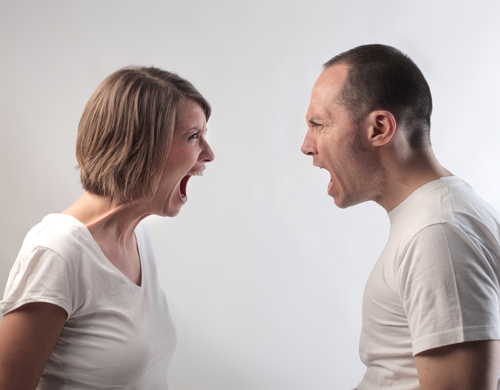 When you’re embroiled in a divorce, things get heated, and both parties are liable to make statements in anger. But when you are in court or speaking under oath, your statements are protected under litigation privilege. This means that any statements you or your ex make in the courtroom are immune from defamation claims. However, this protection does not extend to your private communications outside of legal proceedings. So if your ex makes false statements against you outside of the courtroom (and those statements meet the criteria above), you may be able to pursue a defamation claim. If you are the one filing a suit for defamation of character, the greatest amount of effort will come in the initial filing of the lawsuit, as this will be the time that you must show your ex’s statements met the five requirements outlined above. However, beyond this, the burden of proof will actually fall on your ex (the defendant). Typically, their best defense in such a case will be to prove that the statements against you were not false. In the example given above, your ex would have to submit evidence that you had repeatedly threatened him or her, either via written reports or recorded conversations. Whether you are considering suing for defamation, slander, or libel, or your ex has filed a suit against you, it is important to understand all of the protections and specifications that apply to such a case when connected to divorce proceedings. Generally, it is best to work with an attorney who is familiar with family law, and how defamation, slander, and libel connect to this area of the law. If you are considering suing your ex, or you have received notice that your ex is suing you, give us a call. We will help you to navigate the muddy waters that generally surround such cases, and guide you through the proceedings. Disclaimer: The hiring of a lawyer is an important decision that should not be based solely upon advertisements. Please be aware that we do not provide legal advice over the internet or in emails, nor will we agree to represent a party through an email. Copyright © 2018, The HARR LAW FIRM. All Rights Reserved.